MARYLAND – Turkish Prime Minister Recep Tayyip Erdogan on Wednesday attended a groundbreaking ceremony for the Turkish-American Culture and Civilization Center in Maryland. “I believe that this center would be a place visited by not only those who have come from Turkey but also friends living in the United States,” Erdogan stressed. “I have learned that the center would go into service in October 2014. If God permits, we will live the excitement of the inauguration of the center,” Erdogan underlined. “Carrying traces from classical Ottoman architecture, the center would make contributions to the meeting of different civilizations,” Erdogan said. This center would be a matter of pride for Turkey, an important actor of the Alliance of Civilizations project, Erdogan stated. 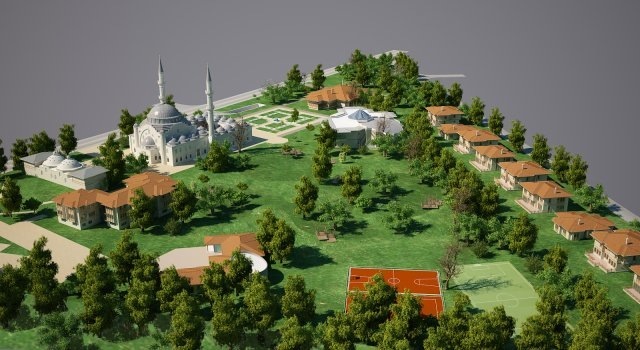 I thank the US administration, Turkish Directorate General of Religious Affairs, officials of the Turkish Foreign Ministry, and all philanthropists for supporting this project, Erdogan said. “We wish to see the contributions of everyone for this center. Surely, the Republic of Turkey would do whatever is necessary for the center. 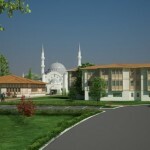 However, the more the number of hands helping the construction of this center, the better it will be,” Erdogan underlined. 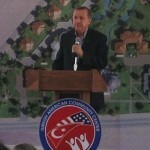 Youth who come to the US for education would be able to make use of the center, Erdogan said. “Cultural and artistic activities will take place at the center. Islamic works would be introduced and conferences would also be held at the center,” Erdogan stated. “This monument will be a symbol of our understanding of culture and civilization,” Erdogan said. The center will be a good way to show how wrong Islamophobia is by giving messages of Islam`s brotherhood and tolerance, Erdogan noted. 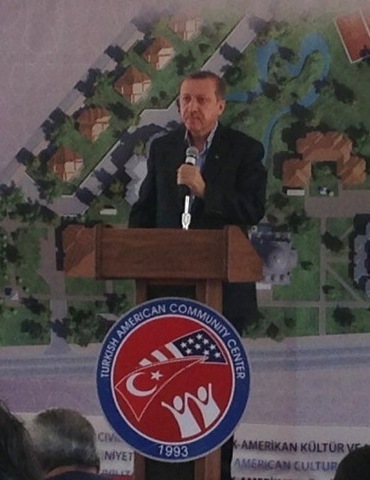 With the completion of the center, the state of Maryland will have a different richness, Erdogan said. “With its multi functional character, the center would be a source of pride for the Turkish nation,” Erdogan indicated. The Turkish American Culture and Civilization Center would be an expression of co-existence based on love and tolerance, Erdogan also said. Also attending the groundbreaking ceremony, Turkish Ambassador in Washington Namik Tan stated that Turkish-American Culture Center in Maryland would be an attracting center, allying civilizations. He added that this center will bring youngsters together to let each other know closer and will serve not only the Muslims in Washington but also the ones throughout United States. “Today, we do not break ground for a simple construction, but reach people who are from different beliefs than us. This is a step to fight against Islamophobia and communities which try to misrepresent Islam and Muslims” Tan stated. He thanked Turkish Prime Minister Recep Tayyip Erdogan for “making the idea possible”. Attending the groundbreaking ceremony, Maryland Secretary of State John McDonough said that they were highly pleased to see a Turkish heritage in their state. We are honored to host the Prime Minister of Turkey Recep Tayyip Erdogan, known for his strong leadership in the world, and as the prime minister of a strong ally of the US, McDonough stressed. Deputy Chairman of the Directorate General of Religio us Affairs, Mehmet Emin Ozavsar, in his part, said that with the new center, the humanitarian aspects as well as the cultural richness of the Turkish nation and civilization would be represented. 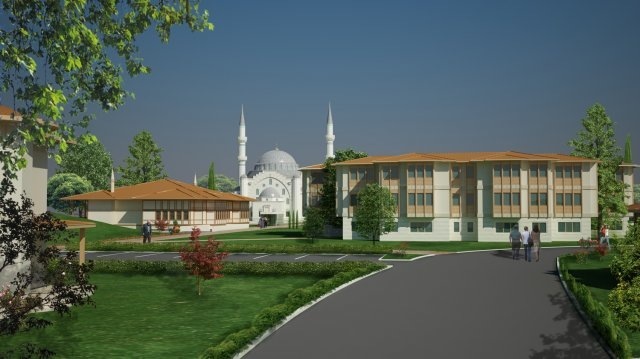 This center will be a source of pride forus and also be a richness for our American friends, Ozavsar added.